Winner of last years Pro Con award in Leicester; this was a seven year project in the making. 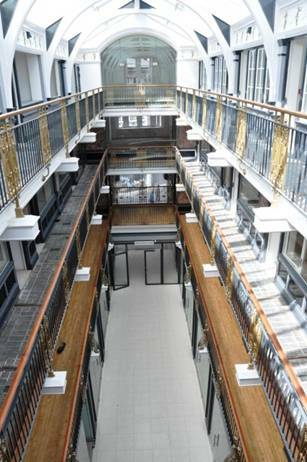 The arcade is a listed Victorian shopping centre and one of only three in the county at four storeys with an open atrium. 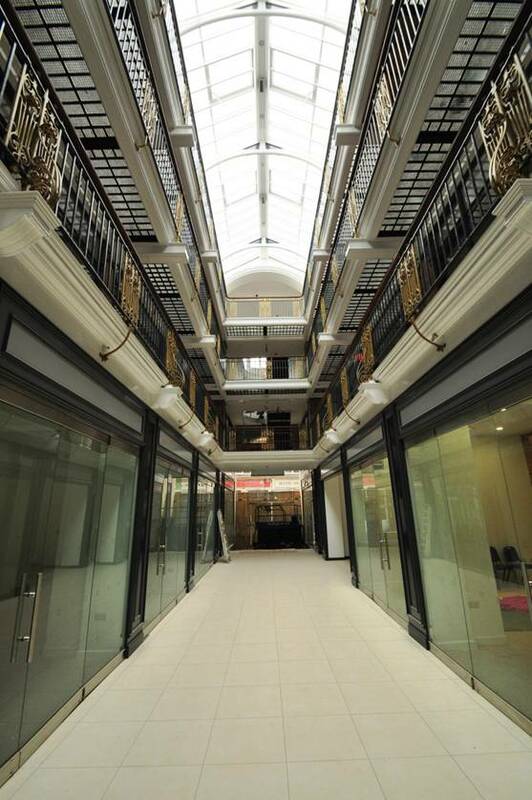 We came at this with a view to make the whole building work again; the circulation was poor and there was no storage or lifts for the shops or shoppers and the wind rattled through the arcade and provided a nice home for the pigeons. In tackling the circulation we put in a new two person cosy vertiginous glass lift in the existing stair well as well as a traditional eight person passenger lift tucked further away in the building and an oversized goods lift to service the shops from the basement stores. 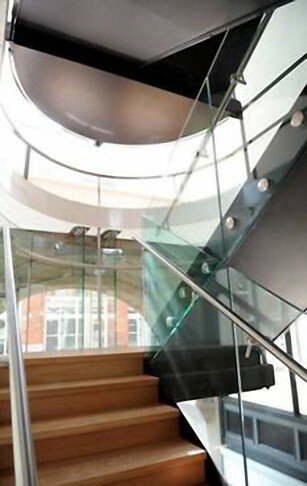 The main architectural interventions we made were to link the first to fourth floor by a new suspended staircase which hangs over the Cank Street entrance. 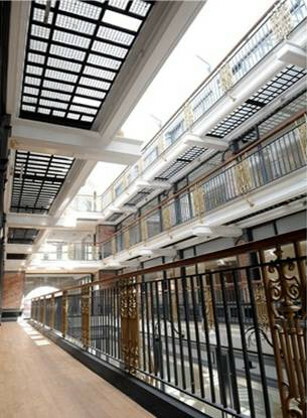 We enclosed the arcade at each end with glass walls and structural fins and also a glass lobby at Silver Street Entrance. The ground floor shop fronts were removed and replaced by glass sliding and folding doors which also meant that the whole ground floor could be opened up. The colour scheme is bold and glitzy and brings a uniformity to the building at all floors and the roof was replaced with a new glass structure that has opening vents for ventilation off which also hang some colour changing LED flood lights to bathe the atrium in mood lighting at night. Visit here Silver Arcade website here.